for manual sampling 33 style cells: for pour-in sampling. Also available with water jackets for temperature control. 41T style cell: for pour-in sampling and electronic temperature control. 32 style cells: for automation. For 0.02°Z accuracy applications where budget is critical and 589 nm is the only wavelength needed. This instrument is popular for sugar applications that do not require ICUMSA measurement at the 880 nanometer wavelength. Rudolph does not use plastic polarizers on its less expensive saccharimeters like other manufacturers do. Rudolph uses only Glan Thompson Calcite polarizers, which cost 10x more than plastic polarizers. 33 style cells: for pour-in sampling. Also available with water jackets for temperature control. For sugar mills that want to measure according to the ICUMSA non-lead procedure but whose application does not require the accuracy of Rudolph’s more expensive models. For 0.01°Z accuracy sugar testing and payment for countries and applications where lead or other suitable clarifiers are still the norm.This model works at 589 nm and is not compliant with ICUMSA testing at 880 nm. This is Rudolph’s most popular instrument; it is used by 98% of all US sugar mills, 100% of all US customs labs and can be found in thousands of sugar mills around the world. It has 0.01 accuracy and is available in both 2 or 4 wavelength versions. TempTrol™ electronic cooling and heating is available as an option. The TempTrol is™ only suitable for air conditioned modern laboratories. The TempTrol™ is only suitable for air conditioned modern laboratories. Purity software is standard on the Autopol® 589, 880, 880 Plus and 880T Saccharimeters, just add a Refractometer and read BRIX, POL and PURITY simultaneously on the Autopol’s® large, digital, LCD backlit display. The AUTOPOL® models 589, 880, 880 Plus and 880T come with PURITY software and an unlimited number of sample specific programs which can be pre-defined for specific juices. This capability is advantageous in factory environments where the same type of samples are repeatedly measured. These programs allow for input parameters such as: multiplier, wavelength, and temperature correction to be pre-specified. 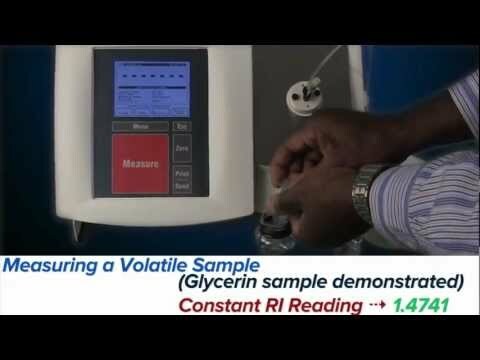 The PURITY software and a Refractometer also allow dilution on a weight/weight or weight/volume basis which can also be pre-specified for each sample name. Each program can be labeled with an alphanumeric and assigned to one of the function keys. The factory operator simply presses the preassigned saccharimeter function key to start measurement. See the Rudolph Refractometer product line for more details. The J57HA’s simple interface and easy to clean prism surface make it one of our most popular models for the sugar industry. Temperature control to 20°C and 25°C makes it perfect for molasses and high Brix samples. Measurement speed can be improved by using Temperature Correction in conjunction with Temperature Control, allowing measurements to be made accurately almost as soon as the sample is placed on the prism. The J157-CC-AM is also quite popular with sugar factory labs. The non contact cover (CC) with built in electronic heating and cooling improves performance in harsh conditions. The Auto Measure (AM) feature allows the closing and opening of the cover to start and stop the measurement eliminating the need for the operator to touch the interface. Very popular for factory environments where air temperature varies dramatically: cold at night and hot during the day. The J157-PTW can be operated as a pour through refractometer when measuring juices and then by loosening one thumb screw and lifting the hinged presser the instrument can be used like a J57. This allows the J157-PTW to measure molasses and other high Brix samples.The J157-KVP has a vertical prism that allows suspended solids to fall past the prism surface instead of on to the prism. The small funnel volume design with integrated over flow funnel increases sample flushes and reduces spillage. The J157-KVP is often favored in applications with highly turbid low Brix samples. The J457 comes with the SmartMeasure™ solution that allows the operator to never touch the display. 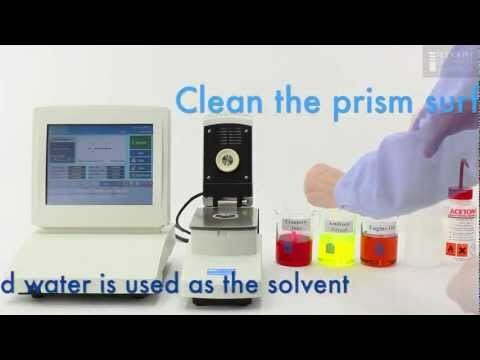 The instrument instructs when to load and clean a sample. 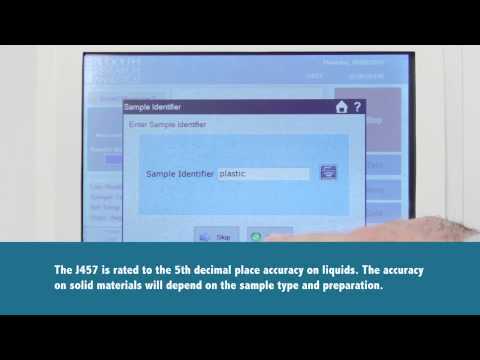 The solution improves accuracy and reduces cleaning and loading errors.